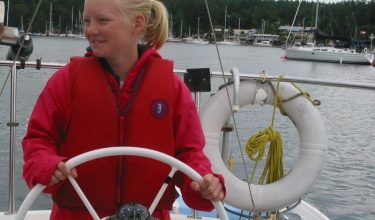 Wherever you are sailing in the world, either here in Vancouver or anywhere, sailing is very dependent on the environment, so it is always prudent to follow a few rules of conduct when we are sailing in Vancouver, which can ensure that we have a negative impact on the environment surrounding us. Vancouver Island and the Gulf and Discovery Islands offer an environment of spectacular beauty and natural splendour, with magnificent rain forests, towering mountains, sparkling azure seas, remote untouched beaches and secluded quiet bays, so in order to keep the sailing waters around Vancouver island in the best possible condition for now, and future generations, then we need to follow a few simple rules in order to protect this stunning environment as best we can. Generally sailors are very environmentally aware, but it’s always a good idea to be aware of the International Sailing Federation’s guidelines on increasing awareness of environmental issues and following their rules of conduct to help reduce the environmental impact of sailing. Try and limit the amount of waste that you make before you go out on your yacht charter – so take things out of packets and reduce your packaging, and dispose of responsibly before you depart. Re-use and re-cycle: so, for example, don’t just dump your plastic water bottles, re-fill them for the duration of your charter. Keep your recycling waste separate in order to be able to dispose of when you have the facilities too. Never ever throw waste over the side of your yacht! Use on-shore toilets whenever possible, many of our national marine parks, do have toilet facilities at various anchorages or parks, however this can be quite environmentally friendly too so don’t expect luxurious facilities! Use the holding tank of your yacht and make sure you adhere to the guidelines of where appropriate to dump it, normally at a recommended pump out stations. It is always best to avoid discharging your sewage close to the shore and in sensitive habitats. 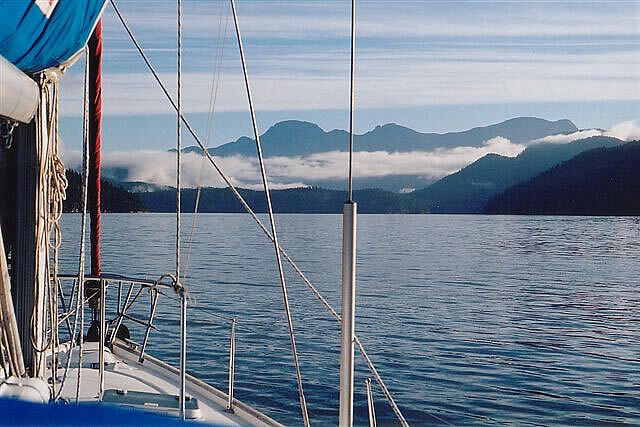 Pay due respect to all of the habitats and wildlife that you come across whilst sailing Vancouver island. Always navigate carefully around the wildlife on the water – if in doubt keep your distance and don’t go too close. When going ashore and visiting local sites, then use the recommended launching sites to land, this helps to avoid damaging the local habitat. This also applies to anchoring sites, take extra care to avoid damaging any protected seabeds, it’s also a good idea to wash off anchors and chains when leaving an anchorage. So just by following these simple guidelines, we can do our best to have very little environmental impact on this stunning sailing area, leaving everyone to enjoy the stunning beauty of these surroundings for generations to come.